Still problems of love with Saving Materials and Material Editor? Yeah, managing materials in 3ds Max could be more simple. Fortunately, the 2011 version is a little bit easier to use. 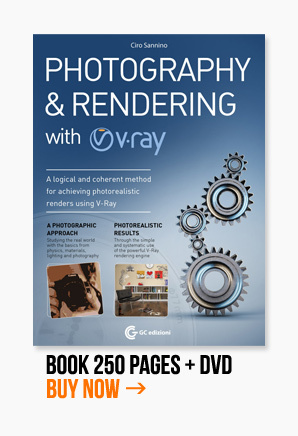 In this post I use the 2012 version to illustrate the logic: it’s easier to understand, and in the end I’ll wirte down some advice for 3ds max 2009 and similars. In this video I’ll show you how to save materials in 3ds Max. 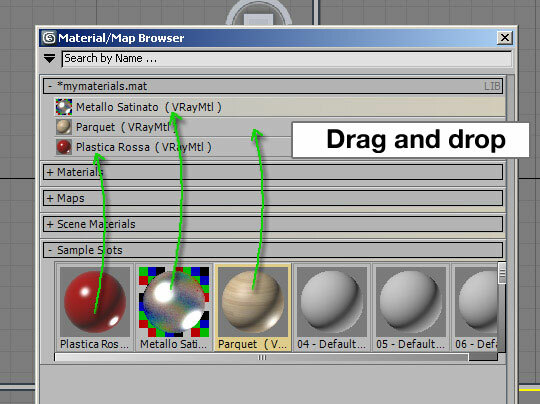 2 – Drag the materials you created, from SAMPLE SLOTS to mymaterials.mat. You’ll see an asterisk appearing before “mymaterials”: It means the library has been updated but has not been saved yet. 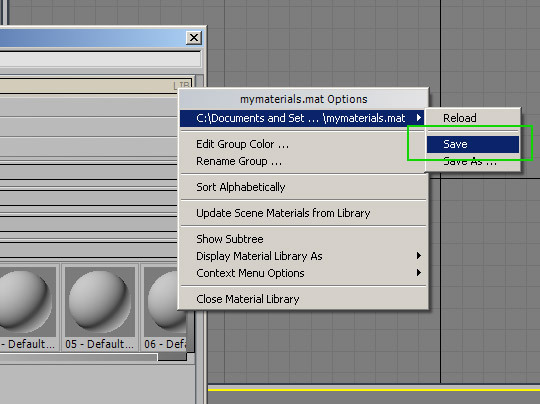 When you will open again 3ds Max, just click on GET MATERIAL and you’ll see the first rollout: mymaterials.mat. 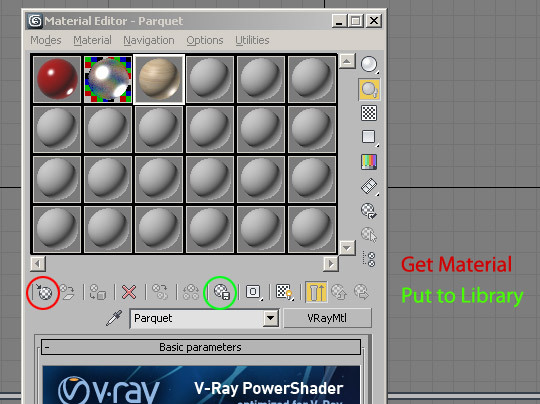 Double click or a drag-and-drop to get the materials in the Material Editor. Ok.. nice… uhmmm… and what about “Put to Library”? There is also a “temporary” space for materials. Choosing the “Temporary Library” you will save it just for the current session: close 3ds max and them will disappear. The difference is mainly in point 2: “Browse from”. It ‘a small thing but it is enough to cause confusion in the beginners. PS I admit is not so friendly.. However follow these simple guidelines, just play around and everything will be clear. nice tut, Ciro, but I thought you post st similar to this before? 3dsmax 2012 material editor is quite boring and complicated, can i change to more user friendly 2009 type? I’ve a problem with the Mat. slots. I cannot re-use the same slot for a different material. For Example: When I need an empty slot while working in a scene, I should be able to create a new material without effecting the material in the scene. normally there should pop up a window with the question shall I effect the scene, but it doesn’t happen. Is there any setting I have to add? When i change a material inmaterial slot,It Change in library too? I have a question. When i save the material its fine. But when i reopen the material in another file the map and bump that i put inside doesnt seem to work. Is it supposed to be that way? Thank u man. You answered my long cry…………..